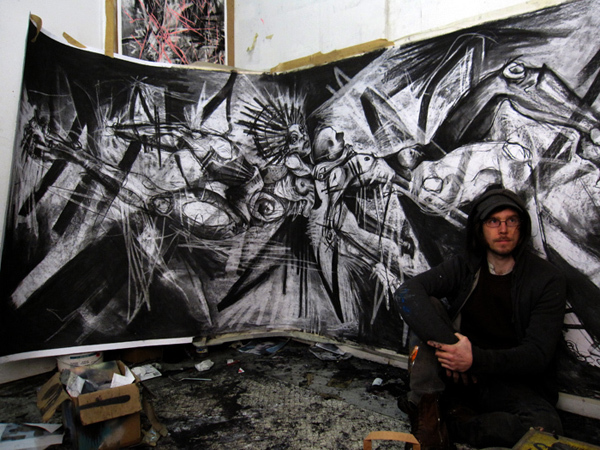 Joseph Loughborough is a British artist now living in Berlin. Joseph states he is fascinated in ‘human nature: sin, desire, fear and existential anxiety over one’s own absurdity’. Through the theatre of emotion, sexuality and movement, Joseph’s expressive and honest body of work captures revealing and thought provoking imagery that challenges how we interpret our often-untold fears and desires. Joseph has exhibited with Well Hung for; Out of Line (Oct 2016), Semblance (August 2017) and will be showing new work in a group figurative exhibition ‘Just Human’ in April 2018 so watch this space.